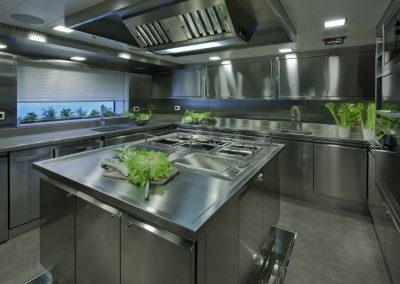 Yacht Kitchens, Gallery Kitchens & Boat Kitchens From Gallery Kitchen Design, Interiors & Furniture. 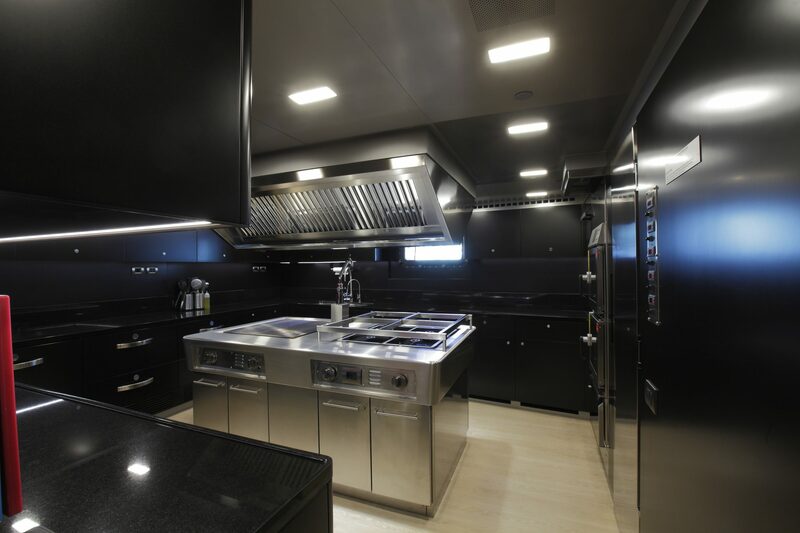 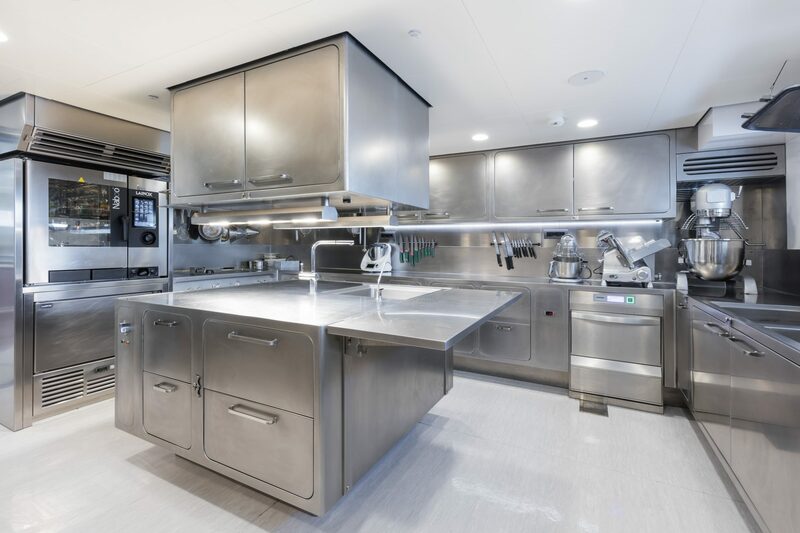 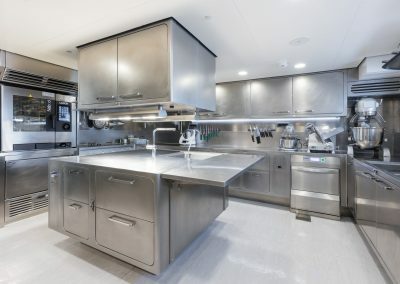 Yacht kitchens & galley Kitchens are crafted by our specialist fabrication team for some of the most luxurious super yachts and exclusive sailing boats. 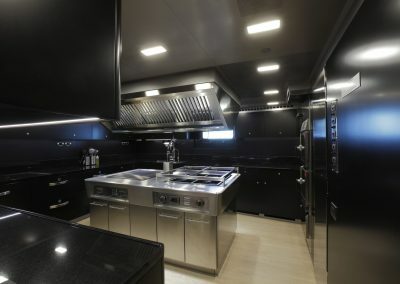 We are also happy to design, supply and or install other styles and types of kitchens as featured in the kitchen section of this website. 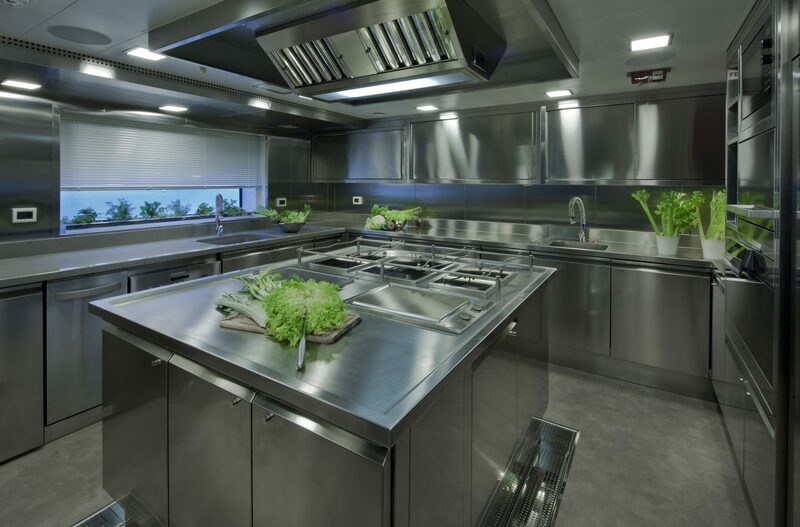 This includes much simpler boat kitchen and craft solutions. 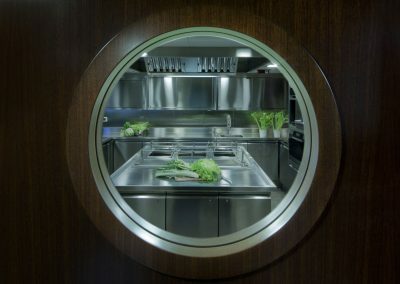 Yacht Kitchen Through The Porthole. Bespoke Steel Kitchen Super Yacht Project.